A visit to Cape Sounion is one of the most popular day trips from Athens. If you are interested in beaches, temples, and amazing sunsets, this half day tour from Athens is just for you! 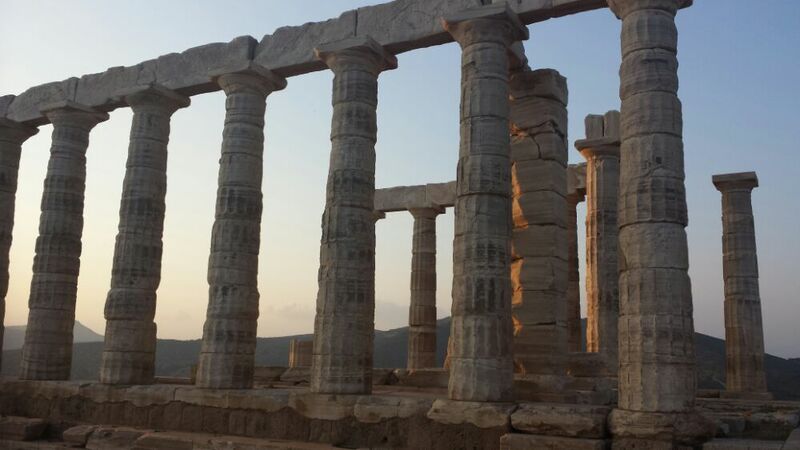 Why take a day trip to Cape Sounion? , is because of the Temple of Poseidon. Perched high above the sea, the temple is located at the far end of the Attica peninsula. stands as a wonderful monument to the past. It is also a great place to see the sunset. This is another reason why people should visit Cape Sounion. The sunset. There is something magical about the way the sun sets in the evening, and this is amplified at this ancient Greek site. Although there will be many other people around, it is possible to wander off and experience the sun setting in relative calm and tranquillity. There have been a series of concrete benches made at spots around the site, from where you can sit and watch in peace. Finally, there are some great beaches around Cape Sounion. Take your pick from organised beaches with bars and umbrellas, through to quiet bays that only see one or two people a day. I know which one I prefer! 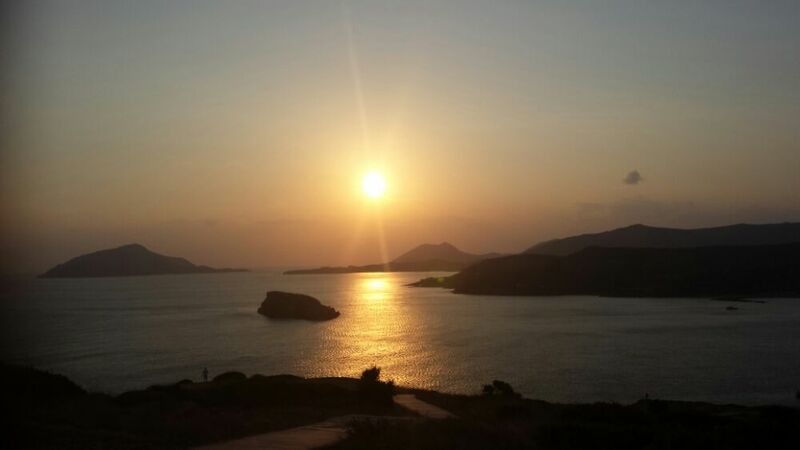 Actually, unless you want longer at the beach, a half day Cape Sounion sunset tour is best. This way, you can have lunch at a taverna, sleep it off at the beach, go for a swim, and then see the temple of Poseidon. I would suggest getting to the temple an hour and a half before sunset to walk around the site first. Then, you can judge for yourself where the best place to watch the sunset itself might be from. Cape Sounion is about an hour and a half drive from Athens. You can get there via an organised tour, a taxi, public transport, or by your own vehicle. If you want to take a taxi, it will be worth getting together with some other people, and negotiating the rate. 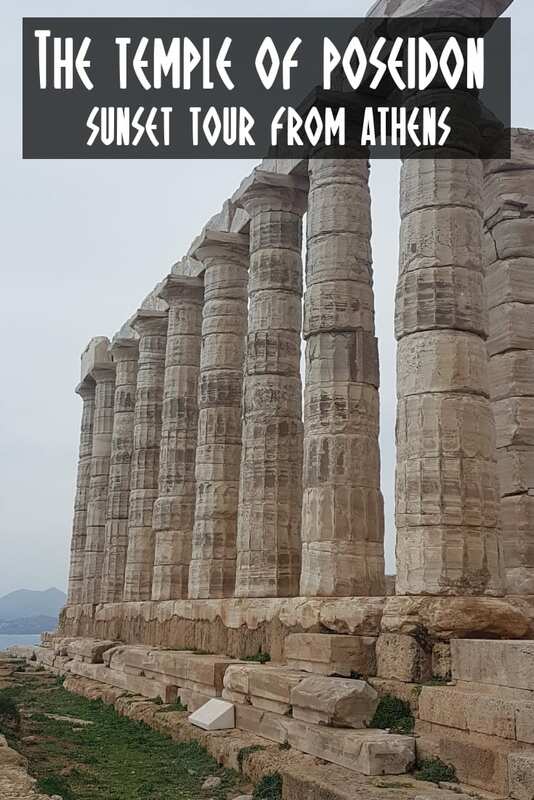 By doing this, you could put your own half day tour to Cape Sounion together, which could include some beach time as well. If you are taking public transport from Athens, then you can catch a bus from the Mavromateon bus terminal near Victoria Metro Station. Just ask around for where the bus leaves from when you are there. Be careful when coming back though. You don't want to miss the last bus, as it's a long walk! If you are looking for other things to do in and around Athens, you might find this article useful – What to see and do during 2 days in Athens. Only have limited time in the city. Then this 1 day in Athens guide will show you all the highlights. For more tour and activities in Athens, take a look here – Athens Tours. Envy your evening visit. We visited in early afternoon, but it was still beautiful. Thanks for re-sharing! I bet the sunset there was very beautiful, as the pictures testify! I like the way you think! Taverna, temple of Poseidon (check! ), a nap on the beach and a beautiful sunset. All add up for an awesome day trip from Athens. Much better than chasing a longer, more frenetic checklist. Swim plus Greek temples. Hm.. great way to spend an afternoon! You have sold the place well, now I want to visit too. Unfortunately, due to time restrictions, we did a cruise of the Greek Isles, which was a great way to see a lot in a small amount of time, but left us w/out seeing much of the non- touristy sites and w/out the TRUE local culture. I’d love to go back and island hop myself and this looks like a great place to start with! What a wonderful day trip. I can just imagine the sunset. I’ll take you up on your recommendation during my next visit. Hahaha, a long walk indeed. 🙂 I’ve never been to Greece but I know how inspiring it must be. 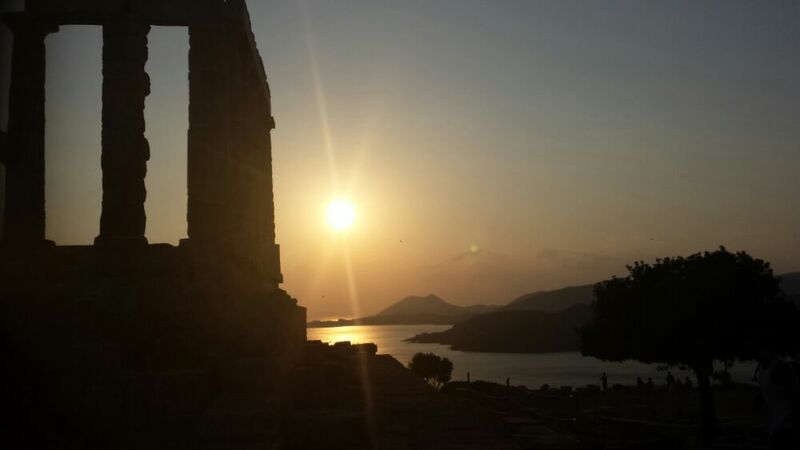 Thank you for these great photos and your description of Cape Sounion. I’d love to live in Athens and be able to just hop on something to visit an island for a day! Well you have sold me on a side trip to Cape Sounion. I think visiting a taverna, a swim and an epic sunset are all good reasons to visit.